Usually when you update any device, some common bugs like battery issues, the device gets slow down, and many more problems occur. Maybe for few peoples, the update is helpful, and for others, it is not. Apple Watch is one of the devices which operate on battery and the most important, like other gadgets it receives updates too for a better experience of the user. After upgrading WatchOS, get here how to improve WatchOS 5 battery life. [Recommended]: is Apple Watch 4 has more battery storage?, Not more. Try the Below troubleshooting tips and tricks that’s help to improve battery life on any Apple Watch model. Because of the new Apple Watch 4 Battery life is the nearly same as past Watch models. So, today we will discuss complications arising in Apple Watch regarding battery life and how can we improve it. 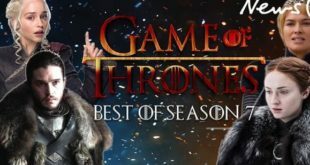 There are certain steps given below which can be very helpful for you to enhance the battery life of Apple Watch after updating it to WatchOS5 on Apple Watch Series 4, Series 3 and Apple Watch Series 2. Step 1: Firstly you need to press and hold both Digital crown and side button simultaneously. 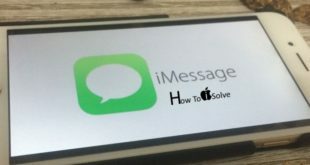 Step 2: continue it, until the apple logo appears on the screen. It is also the best method without compromising the needs to save power of apple watch. As you know, multicolor pixels will cost in high consumption of the battery, and if we set a Watch to only a single particular color, then power draw will be minimized. Disable GYM scan all the time from your Apple watch settings. 2: Scroll down and Tap on Workout. 3: Disable: detect Gym Equipment. Know Useful guide Detect Gym Equipment on Apple Watch features. 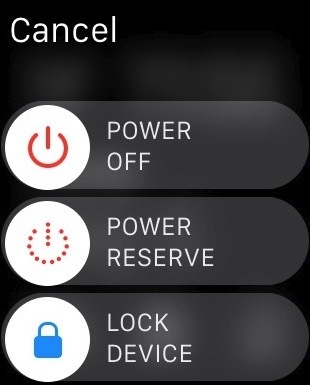 If you far away from your home or office or traveling somewhere and do not have a charger of apple watch but you need to get updated about the time, then Power Reserve Mode is the best option for you. When you hit that option, every facilities and function will be closed except the clock. To make all the features available, you need to reboot the watch. Step 1: hold the side key until a new screen appears. Step 2: next, slide the Power Reserve Mode to enable it. When iPhone’s battery is getting low, we turn of the motions and animations to increase battery life by accessing settings. Step 3: in, accessibility, turn on the Reduce motion and reduce transparency. Wrist Raise Function is quite helpful until you have good battery backup in Apple watch. As soon as you raise your hand, the Watch will light up, and it will consume battery even if you don’t want to see the time. So better is to disable that function by approaching the Apple watch app on iPhone. Step 1: Open the Watch app on iPhone. Step 3: You will see an option “wake screen on wrist raise” turn it off. After turning it off if you want to see the time you have to click on the button or hit the display. When you receive an email or message the screen of iWatch will blow up, and it is also a reason behind the unnecessary draining of battery. If you are not paying much attention to emails or messages or it doesn’t matter then at very first moment turn off the alerts by going to settings of Apple Watch Application. The advantage of this function is you can turn off the alerts on particular applications from which you don’t want to get notifications. Resetting the iWatch is a nuclear weapon for all the problems. But the thing is you will lose all the information and data which is stored in the watch. If you want backup then, sync the data and restoring it from iPhone this will not let you lose your complete data. Follow the steps to set up a new watch. #1: Tap on the digital crown to display apps. #2: click on settings app. Hence by following these steps on Apple watch you can easily set up it to new, and most of the problems will be solved. Helpful: Reset Apple Watch Without iPhone. Apple Watch users are conflicting and in the problem with third-party charger, Always use Apple Watch Magnetic Charger. So Apple Watch Won’t charge and taking time to fuel power. Are you unhappy with the regular charge on power outlet? Keep rated best apple watch power bank. And use it while driving, Outside home or office or picnic places. Understand correct Apple Watch Battery Life estimate and life cycle, that unmatched with your apple watch then contact nearest apple store. Know apple watch the ambient temperature, Keep between 32 to 95 degree F (0 to 35 Degree C). 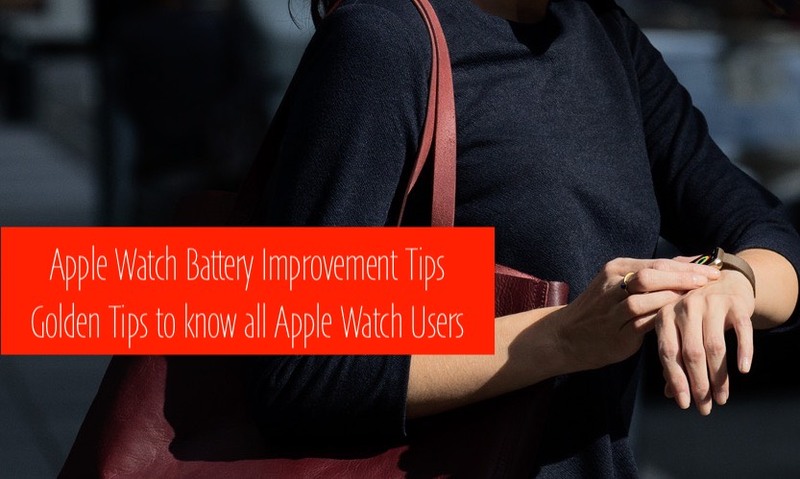 This one of the most essential factors in useful Apple Watch battery improvement tips.